No one likes to fail. In fact, most of us do whatever we can to avoid it at all costs. Winning feels good. Losing is awful. I love hearing stories of average people who failed over and over again prior to becoming “great”. In the library of my Alma Mater there was a study room that I reserved weekly. On all the walls and under a locked glass cabinet were some of the orginal letters and inventions of Thomas Edison. During study breaks I would read and re-read the letters. I would marvel at the pieces of history that changed our world. I was able to study at night because of this man. It is reported that Edison failed thousands of times before he successfully created a working light bulb! Thousands!! Henry Ford went bankrupt five times before he successfully founded the Ford Motor Company and changed the auto industry forever. R.H. Macy started seven failed businesses before finally becoming profitable with the department store that bears his name. An engineer was turned down for a job by the Toyota Motor Corporation. Discouraged, he began making scooters of his own at home eventually turning it into a billion dollar business. His name? Soichiro Honda. Walt Disney was once fired by a newspaper editor because “he lacked imagination and had no good ideas.” Imagine that? 27 different publishers rejected a children’s book entitled, To Think That I Saw It on Mulberry Street. The 28th publisher offered a contract and Theodor S. Giesel became a world renowned author. You know him today as Dr. Seuss. Everyone knows Babe Ruth as a homerun king with 714 during his career. Most do not realize that he also held the strikeout record for decades (1,330 in all). One of the most powerful stories of failure comes from our 16th President, Abraham Lincoln. He failed as a businessman and went bankrupt. (It took him 17 years to repay that debt) He failed as a farmer. He failed in his first attempt to obtain political office. He failed to get elected to Congress – TWICE. He failed when he ran for the United States Senate – TWICE. He failed the nomination for the vice-presidency in 1856 (He received less than 100 votes). In the midst of all of these failures, his fiancee died and he suffered a total nervous breakdown, keeping him bedridden for 6 months. If anyone is acquainted with failure, it is Lincoln. If anyone had a good excuse to give up, Abe did. But he didn’t and as a result, he played an instrumental role in ending the war on slavery. In 2012, when you hear the name Lincoln – you think success. But if you heard that name in 1856, a different image would have emerged. When you hear the name Ford, Oprah, Disney, Beattles, or Jordan – you think success. But there was a time when their name was not synonymous with that. What about your name? Do others think “success” when they hear your name mentioned? If not, it’s ok because your story is not finished yet. Your success story may come tomorrow. Or it may come four more failures from now. Your only mission is to never give up. The next time you are rejected, think of Lincoln. The next time you are fired from a job, think of Oprah. The next time your resume is overlooked, think of Honda. The next time you are told you are not good enough, think of Jordan. The next time you strike out with anything, think of Babe Ruth. He walked away from home plate over 1,300 times – failing to get on base yet again. I was doing a home improvement project recently and came across a nut I could not get unscrewed. Though I tried and tried with my wrench, this little nut would not come undone. 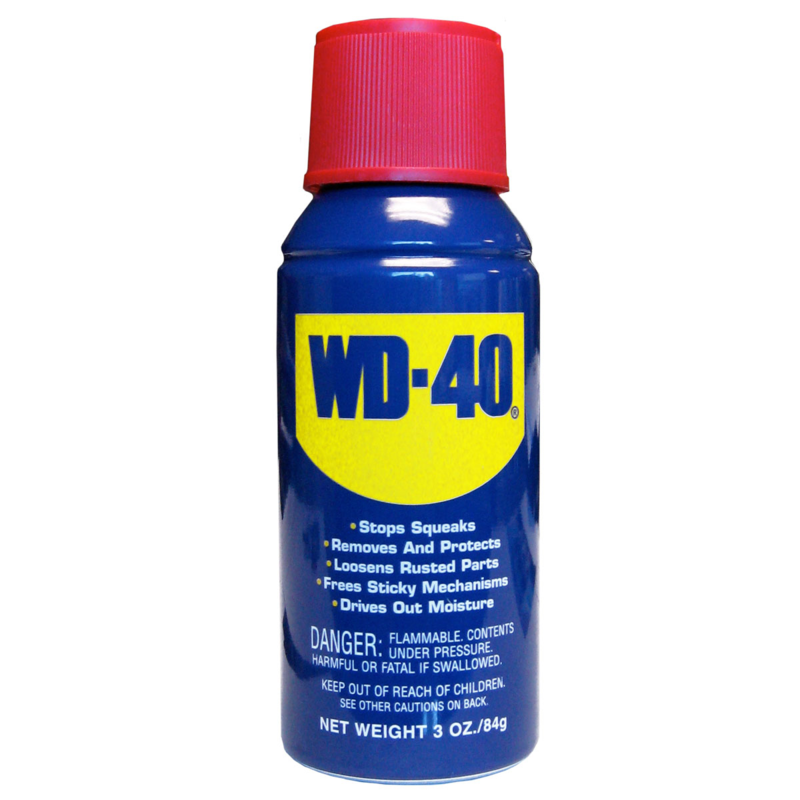 I knew I needed some help to get it loosened and I knew of nothing better to use than some WD-40. I learned that WD stands for water displacement. The number 40, it turns out, stands for the number of tries it took for the product to become successful. It is not known as WD-39 for a reason. Today your name may be WD-39. Or your critics may call you WD-5. Your parents may think you are WD-16. Even your spouse or children might think you are a mere WD-9. Stop listening to those voices. You have a mission and a passion and a calling and a dream and you need to go after it. 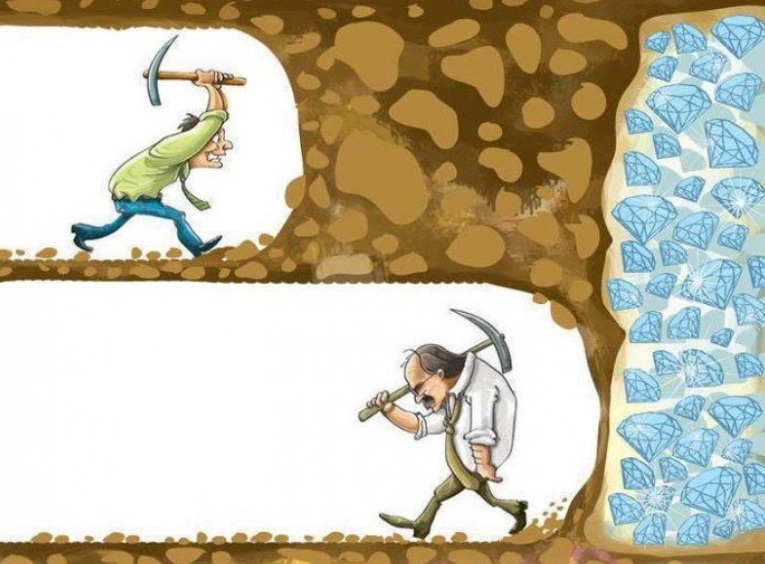 Don’t stop till you reach your goal. The only difference between a dream and a goal? A deadline. Set a deadline for yourself and watch what happens.